Trump had reportedly ordered the White House to release the Kim letter without consulting global allies in order to avoid potential leaks, per the Wall Street Journal, as Trump's leak-ridden communications team has been the subject of scrutiny and headlines in recent weeks. The big picture: President Trump's decision to cancel the widely anticipated June 12 summit with North Korea Kim Jong-un has triggered backlash and outrage among international leaders who are bracing to see what’s next between Trump and Kim. This was billed as a historic summit but now, the Washington–Pyongyang standoff is prompting both sides to get back to basics. 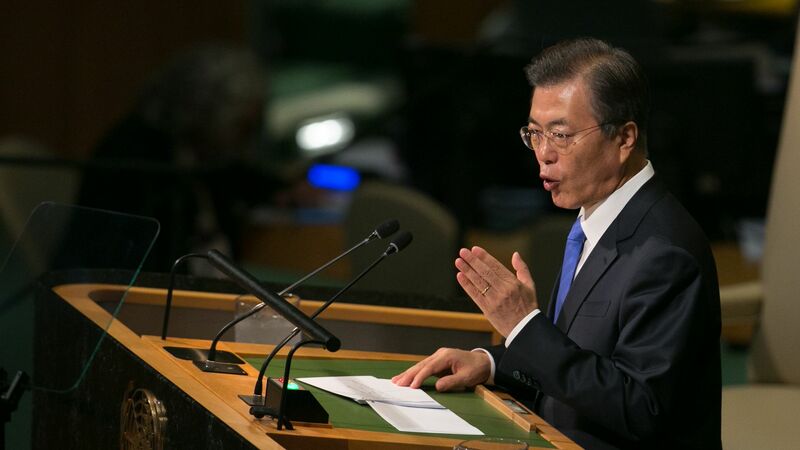 South Korea: President Moon Jae-in said at an emergency meeting with his top security officials: "Denuclearization of the Korean Peninsula and the establishment of permanent peace are historic tasks that can neither be abandoned nor delayed... I am very perplexed and it is very regrettable that the...summit" won't go ahead as planned. The United Nations secretary-general: António Guterres via Twitter: "Deeply concerned by cancellation of meeting between President of the US and leader of the DPRK (Democratic People's Republic of Korea.) I urge the parties to continue dialogue to find a path towards the verifiable denuclearization of the Korean Peninsula." British Prime Minister: Theresa May, per L.A Times: "We are disappointed… We need to see an agreement that can bring about the complete, verifiable and irreversible denuclearization of the Korean Peninsula." Russian President Vladimir Putin per the AP: Kim “did everything that he had promised in advance, even blowing up the tunnels and shafts” of the country’s nuclear testing site. “After which, we heard about cancellation of the summit by the United States.